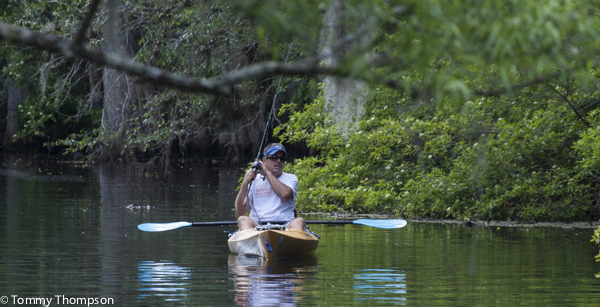 With our abundant springs, spring runs and spring-fed rivers, the Natural North Florida region is the perfect place to spend a lazy day paddling. In the southern regions, there are several springs that feed the mighty Suwannee River. County parks at Otter Springs and Hart Springs attract paddlers to their quiet waters. The State Parks at Manatee Springs and Fanning Springs are busy, but there’s always room for another paddler or swimmer. 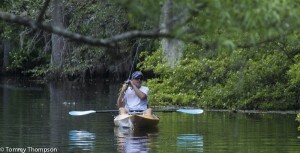 The spring run at Manatee Springs State Park offers seasonal fishing. Gilchrist County’s Blue Springs is a private springs resort, and offers a great family outing. It’s cool, blue headwaters is great for swimming and the spring run attracts paddle craft and tubes. If you want more of a lively place, try Ginnie Springs, just downstream on the Santa Fe River. And just up the road, in Alachua County at High Springs, Poe Springs County Park has been hosting paddlers and swimmers for decades. Ginnie and Blue Springs require modest fees to use the parks; Poe is FREE! 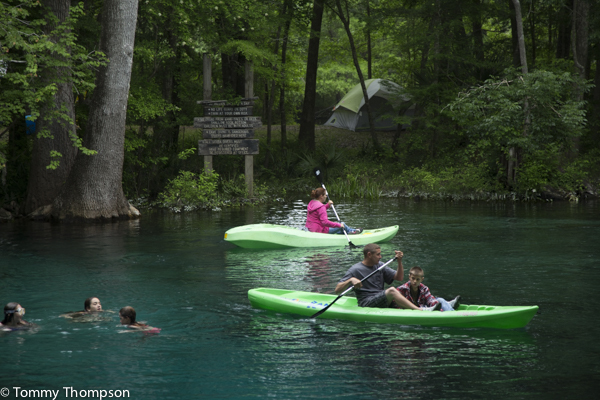 Ginnie Springs offers camping and is a favorite place for the college crowd. 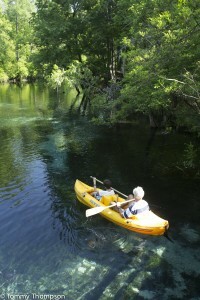 Blue Springs, in Gilchrist County on the Santa Fe River, is a family-oriented park..